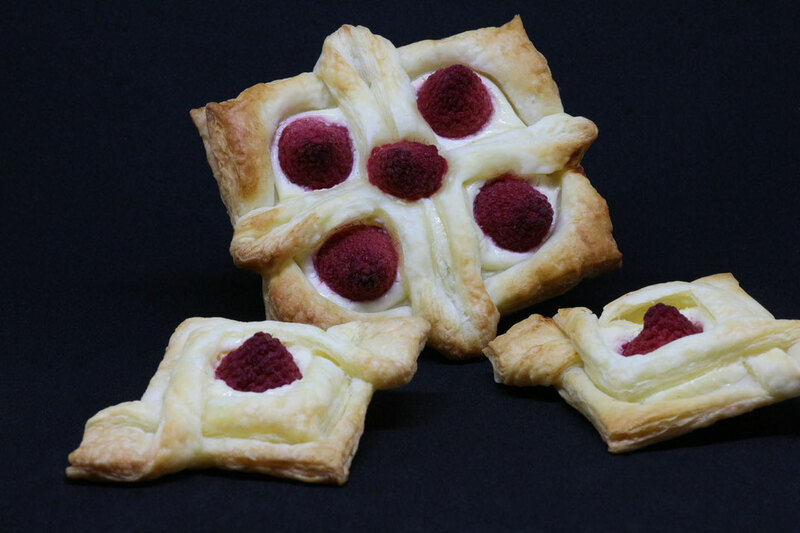 This time we are baking simple raspberry pastries in two different sizes. The great thing is you can just grab some puff pastry out of a grocery store and within an hour you can enjoy this delicious treat (for sure you can also bake the puff pastry yourself). Before we start with the pastry you need to mix the filling. 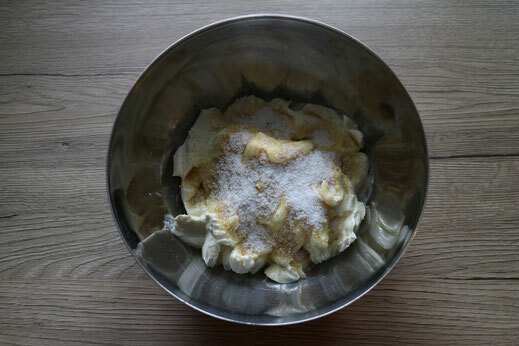 This is also quite ease, just combine 450g cream cheese, 200g brown sugar and some vanilla or vanilla sugar. 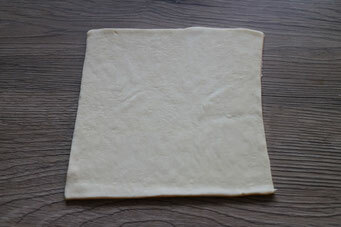 Now we prepare the first kind of pastry (the larger one). 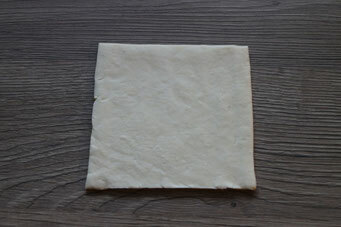 Cut out of the puff pastry squares with a size of about 12cm length. Cut the squares in about 5 mm distance to the edge, but leave a 10mm fillet in the middle of each side. 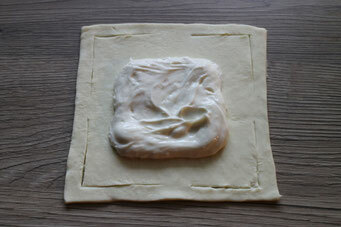 Put a tablespoon of cream cheese filling in the middle and spread it out like a little square. 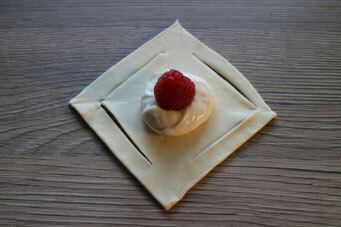 Add 4 raspberries on the filling. 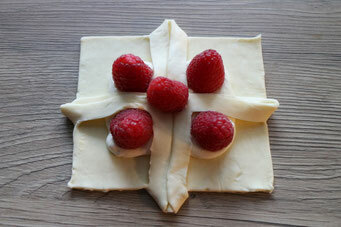 Now fold the before cut edges over the berries to the middle (folds shape like a cross) and put a single raspberry in the middle. 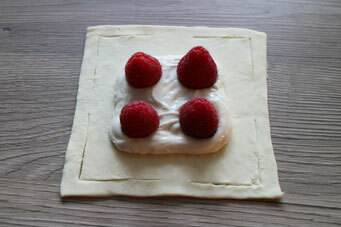 Brush some water or egg white onto the pastry and bake about 10min with 180°C in your oven. Next we learn how to create the little pastries. 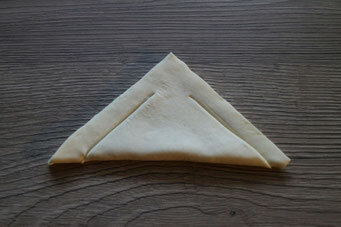 Cut again squares out of the puff pastry but this time just with about 7 cm length. 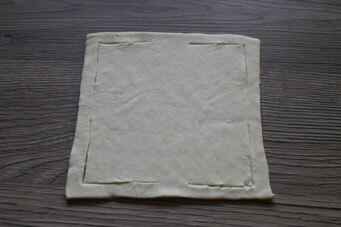 Fold the square in the middle from one corner to the opposite one. Now cut around the edge on both sides with about 5 mm distance to the edge but not completely to the corner. 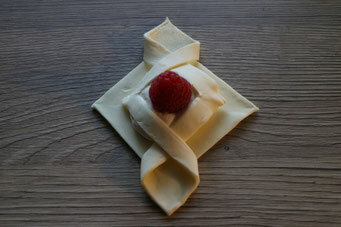 Unfold the square and put about a teaspoon of cream cheese filling into the middle. Now place a raspberry on top. 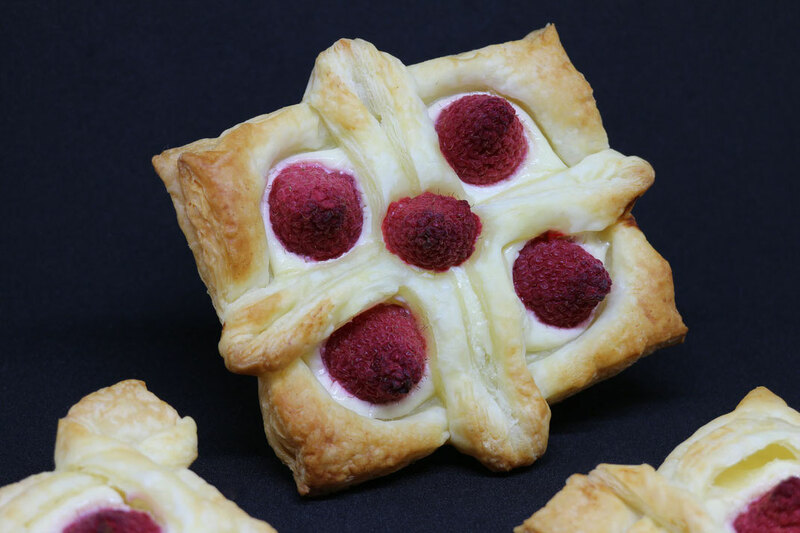 Fold the croppedd edges across the raspberry, brush water or egg white on the pastry and bake again for about 8-10min with 180°C in the oven. Sieht fast zu schön zum Essen aus!